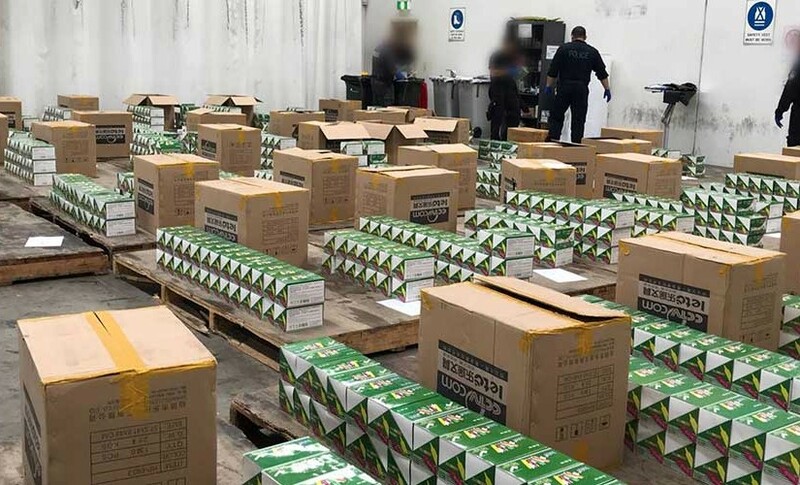 Authorities discovered a shipping container with almost 300 kilograms of ephedrine secreted in 21,000 highlighter pens, carrying out raids and making arrests last week. The container carrying five pallets of pens and other stationery arrived in Sydney from China on 10 February and was taken to the ABF’s Sydney Container Examination Facility for x-ray. 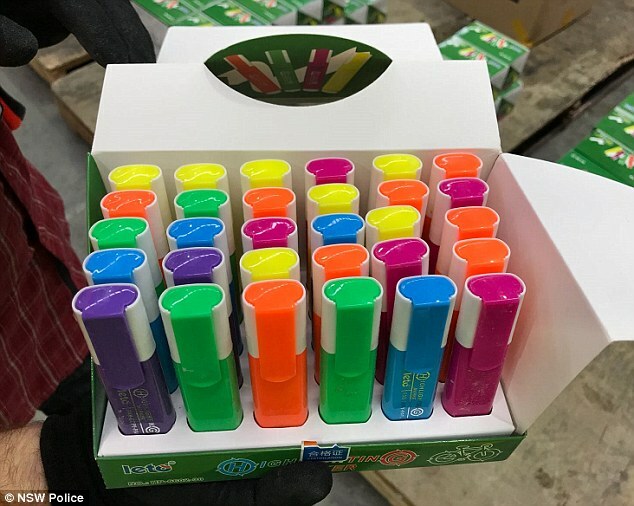 It was then that officers noted anomalies in 50 boxes of highlighters. Testing of the substance came back positive for ephedrine – a precursor for crystal methamphetamine, or “ice”. ABF investigators and detectives from the NSWPF Drug and Firearms Squad conducted a controlled delivery to a storage facility in Sydney’s Inner West and three men – aged 26, 27, and 34 – were arrested when they tried to access the consignment. Investigators also raided a home in Glebe where they seized items relevant to the investigation. The 27-year-old was charged with importing a commercial quantities of a border-controlled precursor and was refused bail to reappear at Central Local Court on Wednesday (28 February), the other two men were released pending further inquiries. ABF investigations Superintendent Garry Low said while highlighters was a unique concealment method, ABF officers find drugs and precursors in almost anything. “We’ve recently invested heavily in upgrades to x-ray technology at our container examination facilities, including here in Sydney, allowing our officers to see further in to each container and detect even more sophisticated concealments,” he said. “This technology, combined with the significant skills of our investigators, and our collaboration with our state police colleagues has once again seen a large amount of precursors seized before it could be turned into millions of hits of ‘ice’. NSWPF Drug and Firearms Squad commander Detective Superintendent Peter McErlain said targeting ice and precursors remains a priority for NSW Police Force and their partners. “These types of seizures can have a significant impact on the availability of ice across NSW, but our work does not stop at importations – we are also targeting the supply of this poison in metropolitan, regional and rural areas, and the crude manufacture in clandestine laboratories,” he said.